Which one is the best phone security app for you? Security has become such an important aspect when it comes to owning a mobile device. Regardless of your preference, be it Android or iPhone, users have become rapidly informed in all matters involving security. Android might be an open source system, but third-party developers are coming out with apps that can take on Apple’s security system at any time of the day. iPhone users, on the other hand, can rest assured of Apple’s heavily secured and encrypted database. But the onus is still in the hands of the users to ensure their data and privacy are safely secured. 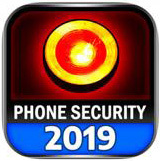 Several of the basic functions of a good phone security app these days are listed as having an antivirus, device and data theft prevention, intelligent diagnosis (booster and cleaner), and VPN connection, to name a few. But which one is the best security app for you? Check out these reviews and decide for yourself. With 500 million downloads and a 4.7 star rating, Security Master is undoubtedly the no. 1 phone security app for Android users. It offers two major functions; antivirus and privacy protection, with awesome complementary features such as organisational tool that hide and organise your private messages and browsing history, intruder alert to nab illegal phone access, as well as offline protection. If you ever try accessing an iPhone that is installed with Best Phone Security app, the app will capture your photo if you entered the wrong passcode. There is also an alarm sound that you can set earlier on, warding off possible attempts by unwanted intruders. 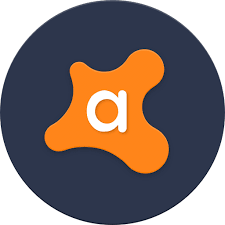 Coming from an established security developer helped Avast’s Mobile Security & Antivirus app chalked up a whopping 100 million downloads to date. The app’s core function is to protect your phone against viruses and malware, but it still packed a punch with other features such as anti-theft, RAM booster, junk cleaner and many other amazing features to protect your device.